Robert McCulloch, 67, had held the position for more than 25 years. In 2014, McCulloch chose not to file charges against the police officer who shot and killed Michael Brown. 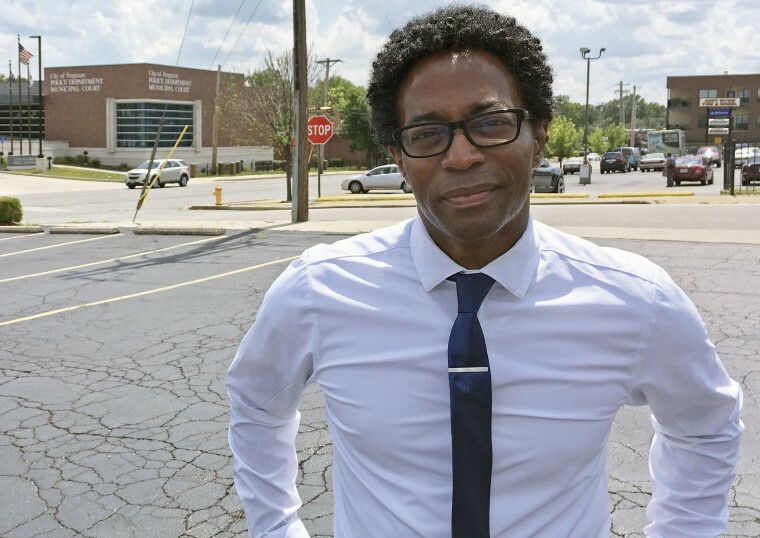 Wesley Bell was not favored to win his race for the top prosecutor's job in St. Louis County, Missouri. Not many people or polls gave him a chance. Robert McCulloch, 67, had held the position for more than 25 years. In 2014, McCulloch chose not to file charges against the police officer who shot and killed Michael Brown. On Tuesday, Bell won the race with nearly 57 percent of the vote. Bell, 43, is an outspoken advocate of criminal justice reform. He grew up in St. Louis County, which surrounds but does not include the city of St. Louis, and has experience as a lawyer, municipal court prosecutor and public defender. His father was a police officer. His victory came the day before the fourth anniversary of Michael Brown's death. With no Republican on the November ballot, winning the Democratic primary essentially means Bell has the prosecutor’s job. She said the movement that was sparked after Brown’s death is alive and well and still growing. National activists for reform hailed Bell's victory and vowed to replicate it. “We will make criminal-justice reform a ballot-box issue in 2018 and beyond,” Rashad Robinson of Color of Change said in a statement. Local area activist Daniel Gould of Missouri Faith Impact, who was one of many grassroots volunteers for Bell, said the protests over Brown's killing helped ignite Bell's campaign. “It started with conversations we had four years ago, taking that rage and all that pain and trauma and [moving] it to a place of healing,” he said. Supporters like Gould targeted communities often ignored by candidates. “They were so excited and filled with joy and peace and love that we even showed up,” Gould said. In the wake of the Michael Brown killing, Bell won a seat on the Ferguson City Council. He was part of a wave that also gave Ferguson its first black police chief. The police force now has more black officers. Bell plans to focus on eliminating cash bail for non-violent offenders in order to change a system that he argues sends too many minority suspects to prison and causes too many people to "lose jobs, home and custody of their children." While recognizing that Ferguson played a role in his victory, Bell emphasizes he will be a leader for all of St. Louis County. Bell has also promised to voters that any police officer-involved shooting will be handled by a special prosecutor.